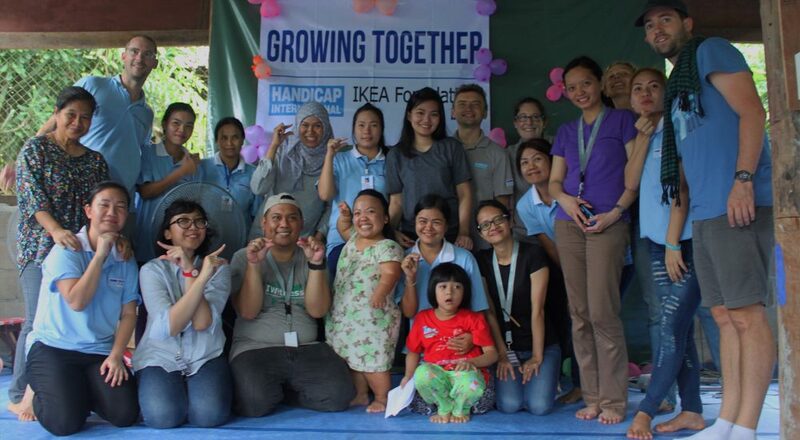 IKEA INDONESIA's TRIP TO THAILAND Written by Claudia Yessie Dewi Sekartaji. “Sawasdee, Ka!” It was the first word that I heard when the IWitness team from IKEA Indonesia arrived in Bangkok, which means “Hello”. The weather was nice for us as we continued our trip to Mae Sot. 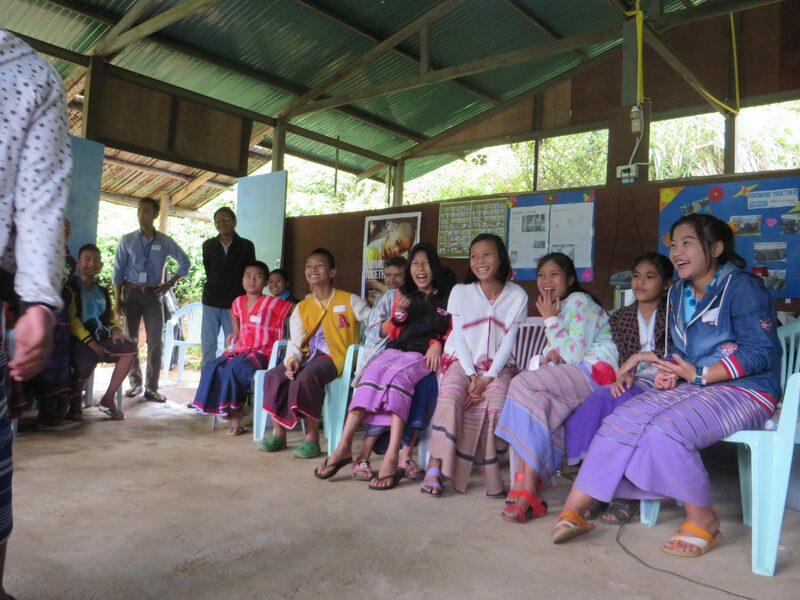 We spent our days at the temporary shelters in Umpiem and Mae La managed, among others, by Handicap International. It was an eye-opening experience, for me as well as the other IWitness team members. We engaged with the children by singing, dancing, making crafts and playing games together. They were so happy and energized. Well, I believe that no one wants to be born in a refugee camp but it doesn’t stop their desire to keep learning and playing. The children were laughing together while playing a “musical chairs” game. Photo by Sylvania Octaria Sinulingga. Mae La is the biggest camp in Thailand. 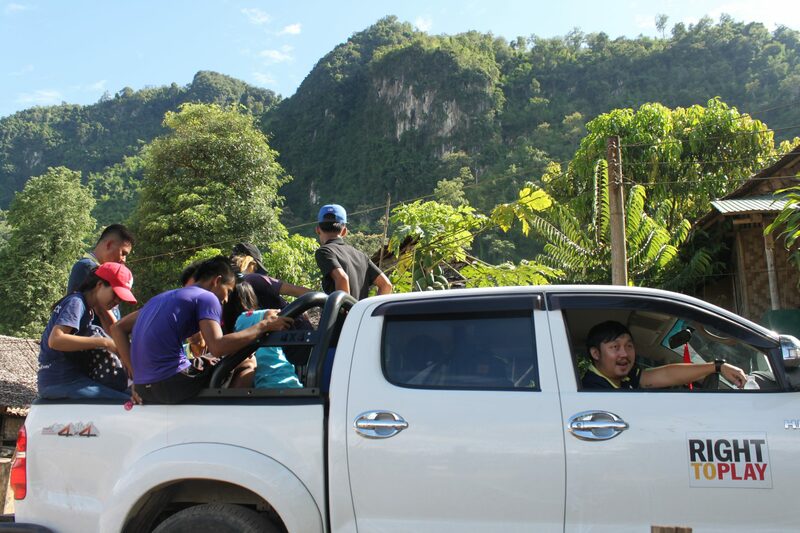 It has more than 40,000 refugees and is divided into three zones; zone A, zone B and C. The road is much more accessible and is around 45 minutes’ drive from Mae Sot. 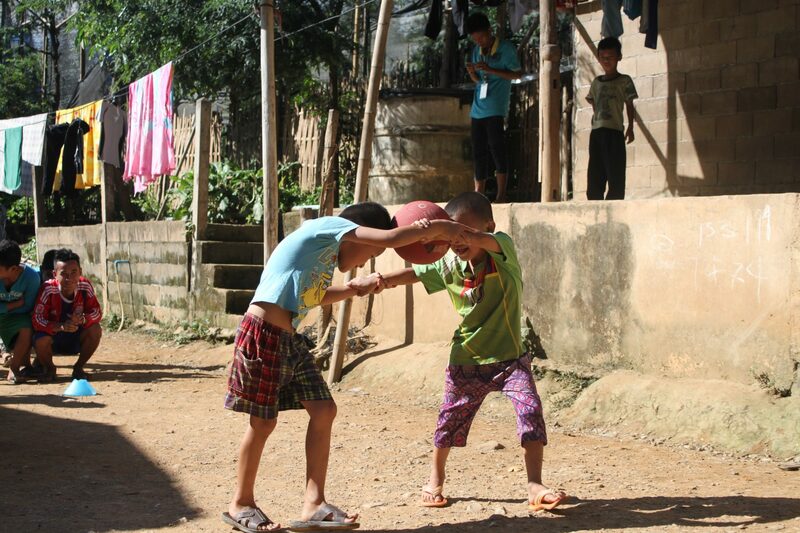 Unlike Umpiem, Mae La is larger and more densely populated with more young people. There are 52 schools in the camp. We can find so many different organisations, which provide different services to the refugees. Friday 6 October 2017 was our last day to directly witness their daily life in Mae La camp. We had some activities, such as visiting the Assistive Technology Workshop and having a short discussion in the Community Rehabilitation Centre. In the afternoon we also got the opportunity to meet people from Right to Play, which is also one of the IKEA Foundation’s partners. Being a barber in the middle of jungle. Photo by Mahargian Maulidi. We spent an hour in the Assistive Technology Workshop provided by Handicap International. The workshop is a big room divided into several small rooms for prosthetics-making, and a bigger room with a mini ramp for the patients to exercise and get used to wearing their new prostheses. It takes about one month for a new patient to get used to a new prosthesis. The youngest patient is sixteen years old. This Assistive Technology Workshop aims to provide people with disabilities with assistive devices in order to support them in doing their daily activities—such as prosthetics, wheelchairs, stretchers etc. Everybody who needs assistive devices is welcome to get the devices, based on their physical problem, for free. Many have lost their legs caused by landmines, in addition to diabetic conditions. The smile man during the sharing. Photo by Mahargian Maulidi. I met Chit Tway, one of the landmine victims. He has been using a prosthetic leg for almost fifteen years. He lost his right leg, making him unable to walk. At the beginning, his leg hurt when he put on the prosthetic leg but, as he got used to it, he felt comfortable afterwards. He also cleans it with water once in a month. 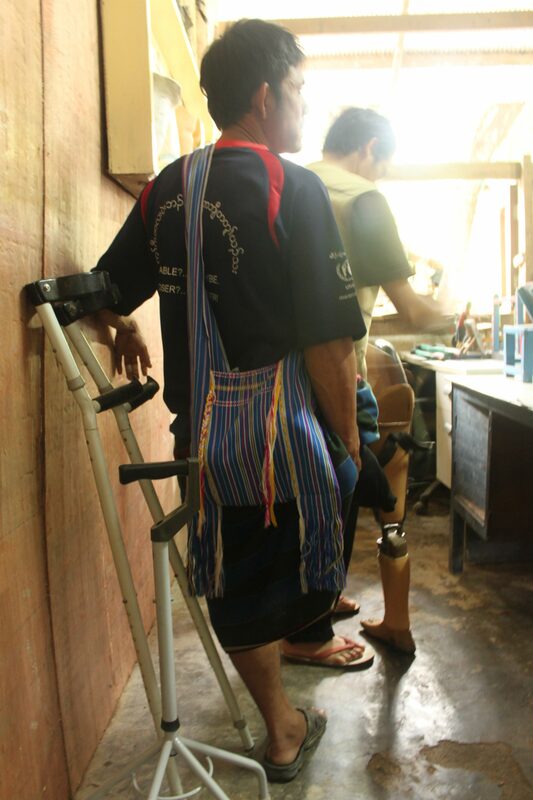 By using his prosthetic leg, he is now able to walk properly again and no longer relies on others for his daily needs. Despite their conditions, the people we met seemed happy and sometimes had jokes with each other about their legs. 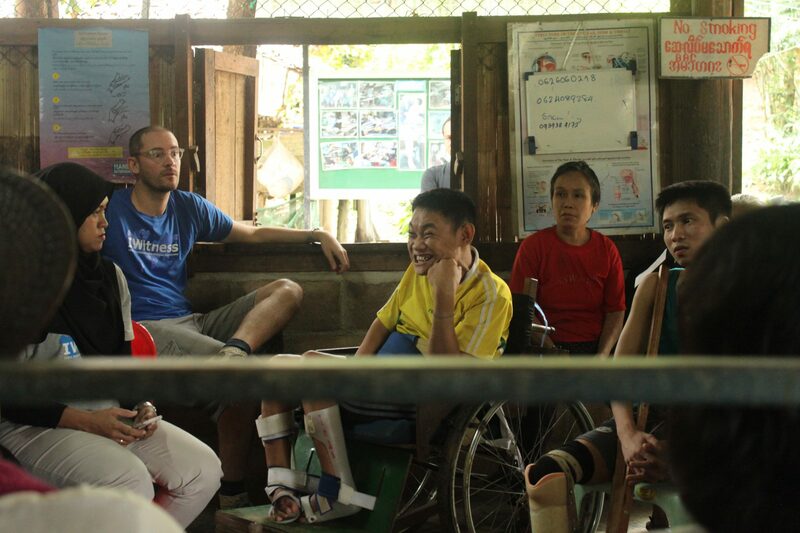 Chit Tway demonstrates how to use the prosthetic leg. Photo by Mahargian Maulidi. The material used for making the prosthetic limbs is resin. The resin mostly comes from Mae Sot and Cambodia. It takes about five days to make one prosthesis, depending which part of the body is needed for. Handicap International has five staff who are able to make them. There are several steps including assessment, measurement, casting, constructing limbs, lining, fitting, forming and cap aligning. After the prostheses have been dried and are ready to wear, the patient can do the walking test on the mini ramp provided in the workshop area. Since they have done the assessment and measurement at the beginning, the prosthesesshould fit on their legs. The prosthetic limbs should be maintained well. They should check them in the workshop once in every three months. They need to regularly change the rubber foot and belt, once in a year. 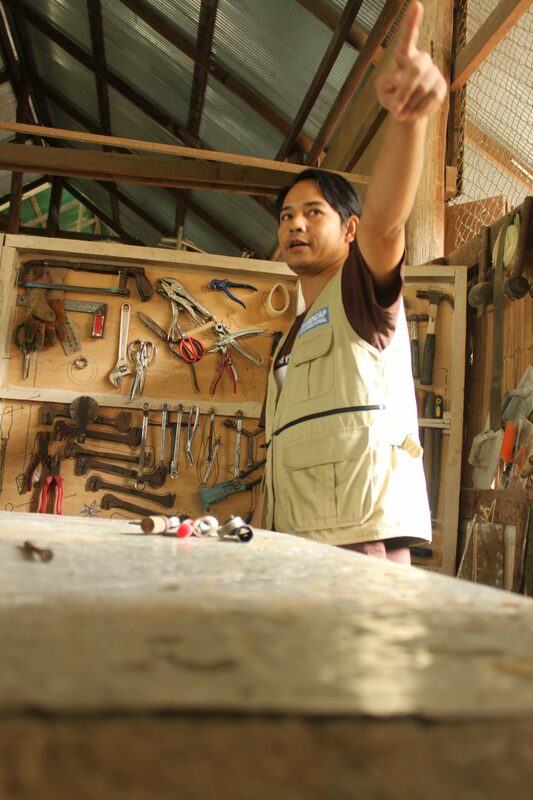 One of the Handicap International staff explains the process of prosthetic making. Photo by Mahargian Maulidi. Near the workshop, there is a Community Rehabilitation Centre, which is also supported and provided by Handicap International. Every Wednesday and Friday, some people are invited to come to a small exercise session for half an hour. The exercise that they had is hand movement. They were asked to grasp a material like clay, to train and strengthen their palm and muscles. A woman enjoys her therapy. Photo by Mahargian Maulidi. After visiting the Community Rehabilitation Centre, the team had the chance to walk around the camp. There is a small river nearby where the refugees bathe and wash their clothes. There, we could see children playing happily while, on the other side, there were also motocycles trying to cross the river. On the other side ot the river, we found a school with its dormitory and a library. 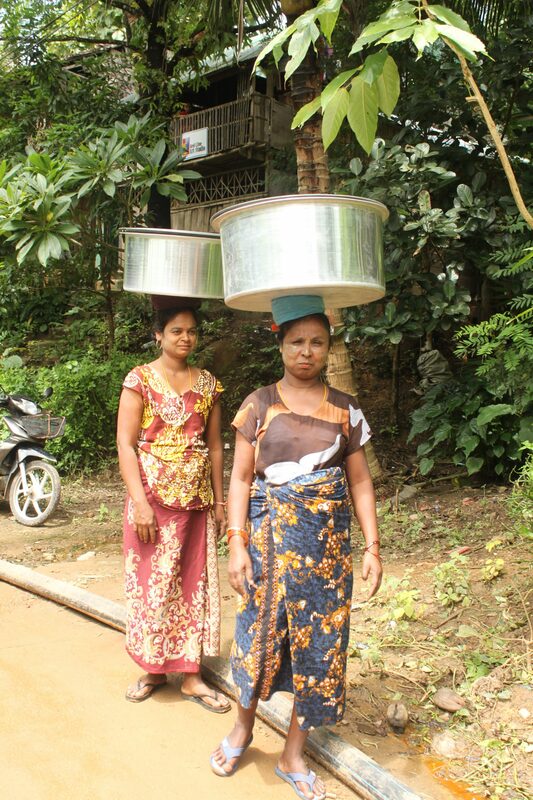 We also met two women bringing a basket on their head and going around the camp to sell noodles, vegetables and others. The women are selling food around the camp. Photo by Mahargian Maulidi. Right to Play car. Photo by Mahargian Maulidi. We had a small introduction with the Right to Play team at their office. After that, we headed to OCEE (Office of Camp Education Entity) where the physical exercise teachers were practising basketball and volleyball. The PE teachers are expected to invite the children and adults to play some sports in school and their homes. The IWitness team played volleyball with the PE teachers. Photo by Mahargian Maulidi. Having finished playing volleyball with the PE teachers, we went back to the Right to Play office. There is a huge space for the children to do some sports. 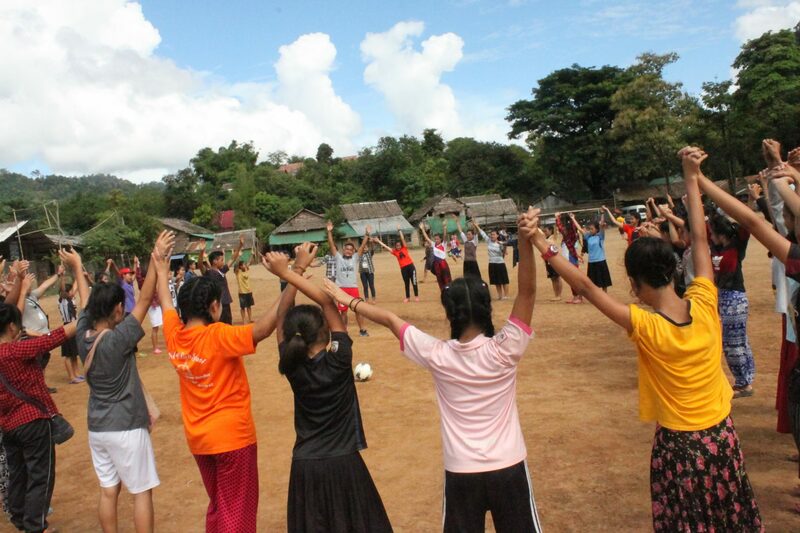 We were divided into three different groups and participated in the games with the children. They looked so excited and happy. The children are having a cooling down session. Photo by Anissah Rahmalia. The last activity was visiting a boarding house, which is located in zone A. There are around forty students in the boarding house, starting from elementary up to senior high school students. 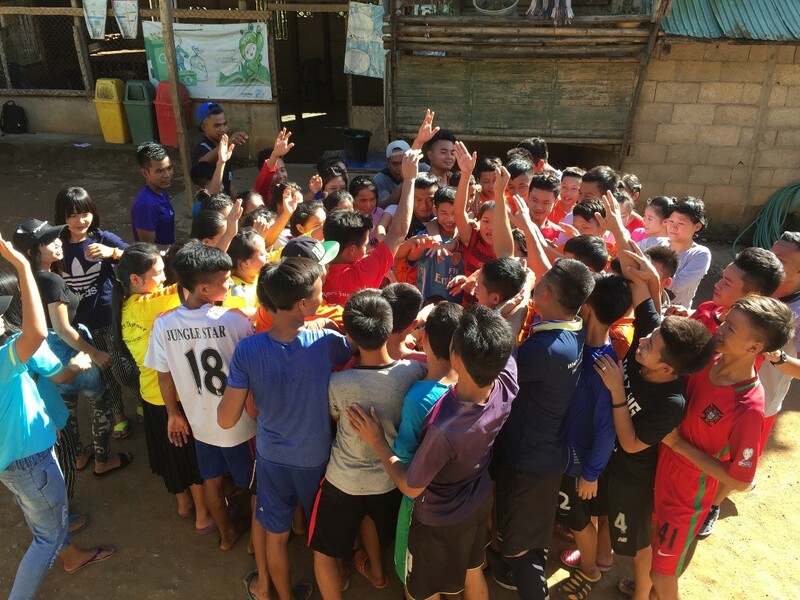 We had a chance to participate in a ball game with the children, in which it required teamwork and communication among the participants, in order to develop their social, cognitive, emotional and physical skills. Children enjoying one of the activities at the boarding house. Photo by Mahargian Maulidi. At the end of every session, they have a summary session which covers Reflection (R), Connection (C) and Application (A). Reflection (R) aims to see how the communication works among the players. Connection (C) relates their experiences to the communication issue. 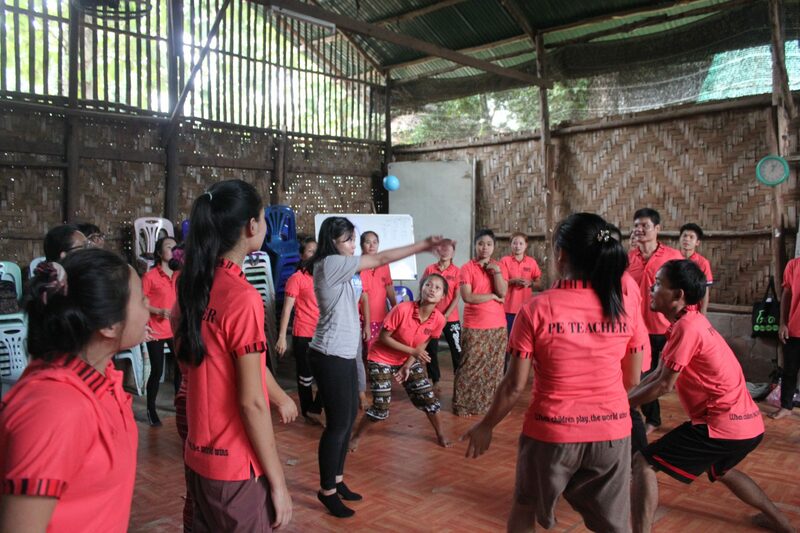 Lastly, Application (A), enables them to apply how to communicate well in their daily life. Showing teamwork among the students. Photo by Claudia Yessie Dewi Sekartaji. This trip gave me a life-changing experience, and it was totally amazing. Current problems that we are having are nothing compared to the life that the refugees need to face everyday. They still can be grateful and thankful for everything that they have right now. Their life is filled with joy, smiles and bursts of happiness; though for some of them, they no longer know where their families are. Most importantly, they still have hopes to get a better quality of life by having education to pursue their dreams. The world must know and support this land of smiles. Hi, I’m Yessie! I’ve been working for IKEA Indonesia for three years. I had a very good time working as a Customer Relations co-worker for one and a half years, and currently I am enjoying myself as a Talent Acquisition Specialist as a part of Human Resources. I love writing and volunteering, which enables me to share the meaning of life with the unfortunate ones. Hopefully, by being part of this IWitness programme, I can make others happy and spread the positivity.